Yahoo’s two Android apps, Yahoo Messenger and Yahoo Mail for Android have received updates. The common update brought to both the apps is the ability to sync contacts between your Yahoo address book and your Android phone.The good news is that Yahoo Messenger for Android finally has built-in support for video calls, which is already present in Yahoo apps for iOS devices. The video calling feature still has its catches. Firstly the video calling feature will work only on devices running Android 2.2+ and it also need the installation of Yahoo Messenger Video Addon-On to work. And finally for now, Video calling feature is only supported for two devices: T-Mobile myTouch 4G and the HTC Evo 4G. Support for more devices is reported to be coming shortly. 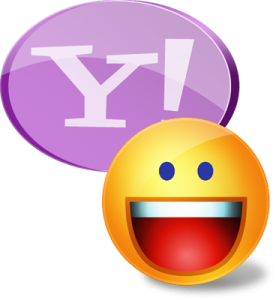 The other update for Yahoo Messenger for Android is the enhanced capabilities for photo and video sharing. The updates for Yahoo Mail include the support for multiple accounts and enhanced picture viewing. Your Android device should automatically report for updates Over The Air but if it does not you can find the two apps anytime in the Android Marketplace on your phone. Previous Entry: Apple iOS 4.2 Due on Friday?